From the bottom of the ruck: Saracens and Montpellier Hérault worthy Champions of Europe! 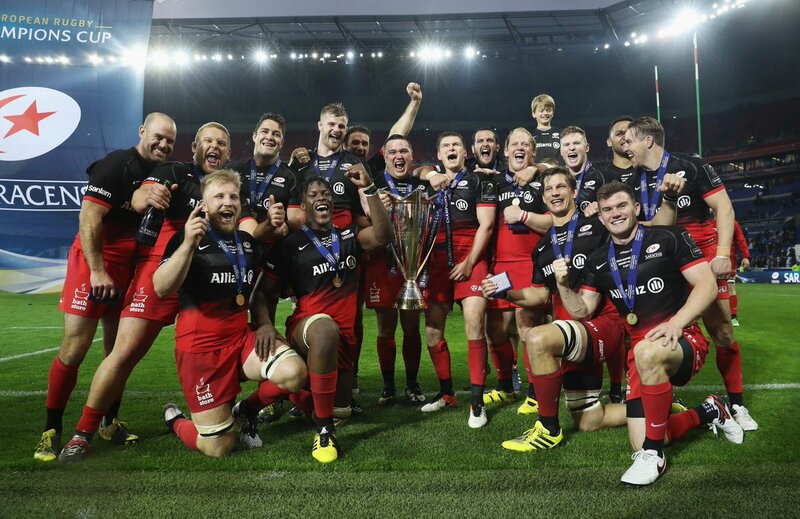 Saracens and Montpellier Hérault worthy Champions of Europe! Friday night’s match was an enjoyable helter skelter affair, end to end for most of the match. Montpellier are a massive team, and really beat Quins up for the first 60 minutes, scoring two tries, and taking plenty of points off the boot of Catrakilis. Then in the last 20 minutes they lost their shape a bit and let Quins back in to the match. The final play of the match was a bizarre kick to nothing by Botica, Montpellier bound…they’ll have to coach that sort of thing out of him. Hugely impressive what Jake White has done, and they could still win the top 14. Now he just needs to make the team French! Then on Saturday it was a very one sided encounter between Saracens and Racing 92. Never mind Dan Carter, it was Owen Farell that delivered a tactical masterclass – and apart from that, Saracens were superior in every facet of the game. I’d say they got a bit of leeway on the offside line, which kept Racings attack completely static, but fair play, they totally deserved that win, best team in Europe this year. Connacht win the final in emphatic style! Leinster and Connacht set up a fantastic final!